A healthy lifestyle takes work; there’s just no getting around it. But the right personal fitness trainer can make all the difference. We’ve researched personal trainers in the Midwest and have found 21 in particular who make exercise fun and goals achievable. Each trainer below looks at the whole person — the physical, the mental, the emotional — rather than just the body. If you don’t see a personal trainer in our list below who is convenient to your home or office, try searching by state and city on sites such as PersonalTrainer.com or IDEAfit.com. These directories list each personal trainer’s speciality and a snippet of information, which allows you to quickly see whether he or she would be a good fit for your needs. With an approach of “one bite at a time, one workout at a time, one healthy choice at a time, and one day at a time,” Susan Van Hoosen, founder of Inspired by Fitness in Indianapolis, works with her clients to create a sustainable lifestyle of overall wellness. A certified personal trainer and health coach, Susan offers personal as well as small group training. For nearly 40 years, multiple certified personal trainer Bob Fields, who lost 70 pounds in college, has been helping others get into shape. As the owner of Precision Health, Trainer Bob coaches clients in two primary locations: Noblesville and Carmel. Services include one-on-one personal training, which can also take place in-home, as well as group training for two or more participants. Bob also recommends a program geared toward Baby Boomer fitness for seniors in addition to nutritional counseling. The owner of Focus Fitness Personal Training Studio is Kasey Rundle, an ACE-certified personal trainer (and carb lover). Kasey’s approach to fitness is all-encompassing, so you won’t simply learn how to exercise correctly. You will also learn how to improve your cardiovascular endurance, strength and nutrition habits. One-on-one training sessions are held in the Focus Fitness private studio, in Noblesville. Diana Chaloux is the co-owner of Hitch Fit, a Kansas City gym with two private training studios (one downtown and one in Overland Park). Offering online training as well, Diana is a certified personal trainer and fitness coach, and she also works with those interested in the competitive side of the fitness industry. If you think the two-time Fitness World Champion, WBFF Pro Diva Fitness Model and author (who has her own video series featured on Bodybuilding.com) looks familiar, you might have glimpsed her on the pages of Oxygen, Muscle & Fitness Hers, Status Fitness, Inside Fitness, Kansas City Fitness Magazine, World Physique, or Kansas City Business Magazine. Robert and Molly Wichman in Lee’s Summit are the owners of Life Transformations, and both have been athletes since they were young. Robert, who has been a personal trainer for a decade, builds programs that help his clients attain their goals and believes nutrition is the key to success. Molly understands the busy lives her clients lead, so she emphasizes viewing fitness and health as priorities that take time and dedication, but that can be achieved by anyone. Benjamin Wellinghoff is Coach Ben, a personal trainer certified by the National Academy of Sports Medicine. Located in St. Louis, Coach Ben’s programs include those for weight loss (like a 14-day quick slim), lifestyle coaching and personal training. The last can be in home or office, or at your local gym. Each program is custom-built to fit the client’s needs and lifestyles. Ben says he works with everyone from beginner to advanced, and from children to seniors. Rick Applewhite, the founder and CEO of Exercise Life in Chicago’s West Loop, is a certified personal trainer with the National Academy of Sports Medicine. 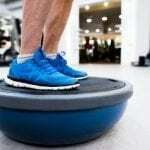 He and his team bring the workout to clients, whose demanding schedules make incorporating exercise routines difficult. Their personal training is tailored to each client to fit their hectic schedules, with a holistic approach (mind, body and spirit) encouraged. Located in the Flossmoor suburb of Chicago, Tina DeNard is a personal trainer and fitness coach who helps clients burn fat, gain muscle, reduce stress and increase strength and flexibility. She offers private one-on-one training as well as group sessions. There’s also an 8-week fitness program called the Pre-Wedding Workout that includes unlimited email coaching in addition to personal training sessions. Certified through the National Academy of Sports Medicine, Josh Holm opened his St. Charles studio in 2009. He and his small team of personal trainers specialize in weight loss, corrective exercise, pre-natal training, personal fitness and sports performance. They offer one-on-one and partner coaching in addition to small group classes with up to four participants. This small, private one-on-one training and fitness facility is located in Chicago’s Lincoln Park. It is owned by David Bostik, who once weighed (as he calls it) “a whopping 346 pounds.” It took him two years and a personal trainer, but David lost 150 pounds and transformed his life. This experience led him to a career in fitness and the opening of his own personal training studio. Nnamdi Ugbaja, the president of Hour of Change Fitness, says he used to weigh 285 pounds (he’s now 205 pounds) and understands how hard it is to lose weight and keep it off. “With the guidance of someone that really cares about your health and goals, the journey doesn’t have to be as hard,” he writes. Services offered by this Christian-based Chicago fitness firm include in-home personal training as well as group fitness training. Anthony and Kimberly Nizzio are co-owners of Springfield’s first personal training business and its state-of-the-art gym. Anthony’s personal training actually comes with a written success guarantee and monthly fitness assessment as well as daily access to a personal trainer. Fitness and nutrition programs are unique to the client’s goals, whether those are weight loss, toning, increased energy or strength training. Former fighter Alberto Mercedes is a master fitness trainer in Milwaukee. He’s also owner of AMC, which just opened in May. In addition to helping clients get their bodies summer ready, Alberto says his gym will help the community by creating champions — not just in boxing but in life. When we got in touch with Alberto — who was awarded Trainer of the Year for the Midwest for Bally Total Fitness in 2009 and has received 23 awards for personal trainer in the Wisconsin region — he confirmed that the main goal of the gym is to help the youth and adult community members to become disciplined with the support of boxing. Michele French is an ACE-certified personal trainer in Racine, and she has been actively working as a personal trainer since 2002. She provides individualized programs, working with diet, strength and cardio development. Michele also brings with her a true understanding of the struggle to get in shape. Now an avid marathoner, Michele says she was up and down the scale from childhood until nearly 40 — about the time she hired a personal trainer and learned a new, healthy and sustainable lifestyle. Working with her clients from a holistic perspective, Patina Esprit Wellness owner Jen Childress concentrates on more than nutrition and exercise. She says that being healthy includes thriving, being happy and at the top of your game in every aspect of life. A certified personal fitness trainer, she’ll work with you in her West Des Moines studio or host off-site sessions (and bring her own equipment). Co-owners Jon and Matt Hunt have always had active lifestyles. Jon is an American College of Sports Medicine-certified personal trainer with a goal to motivate, inspire, and educate clients about the benefits of exercising and living healthily. He believes that anyone can achieve realistic goals as long as they are patient and persistent, and with a healthier mind and body they will also achieve higher self-esteem and more confidence. Located in Davenport, 8 ONE 8 will hold personal training sessions in your home or their private fitness studio. They serve the Quad Cities, including Bettendorf, Davenport, Rock Island, Moline, East Moline and their surrounding communities. QCPT brings accessible, affordable personal training to Bettendorf, as well as Moline and Rock Island in Illinois. In addition to one-on-one personal training and small group classes, services include nutritional guidance, health coaching and independent workout routines. One of personal trainers at this Marquette gym and fitness center is Steve Drog, who knows firsthand the struggle to lose weight and keep it off. Even though he was active through school in a variety of sports, he had a total of 65 pounds to lose. With proper nutrition and by maintaining an active lifestyle, he’s kept in great shape and has been motivating others to work hard to reach their goals since 2011. Located in Beverly Hills, Get Some Fitness hold boot camps, team training sessions and private classes. Certified fitness trainer Joel Stempien heads the personal training program. He helps motivate his clients to develop a healthy lifestyle. Joel will work with your healthcare provider to ensure the program is safe, and he will also help you increase efficiency so you can realize maximum results in the shortest amount of time possible. Chas DeVetter, an American Council on Exercise-certified personal trainer, is the owner and operator of DeVetter Fitness in Omaha. Chas and his team offer semi-private and one-on-one personal training in their private facility. There are also early-morning and after-work boot camp sessions for all fitness levels. Cory Cain is the owner of Black Clover Fitness, a personal training studio in Omaha that specializes in small group and one-on-one training. He’s also a certified bootcamp instructor, personal fitness training and running coach. Cory reports that in the last year alone, his clients lost a total of 4,000 inches (that’s longer than a football field) and 3,200 lbs.